Under the direction of the Water Pollution Control Facility Supervisor, the operator ensures the safe and effective monitoring and operation of the wastewater treatment processes and equipment, and acts as Operator in Charge as required. QUALIFICATIONS: The City of Portage la Prairie is a Class IV facility and a Class 4 Certificate in Wastewater Treatment is required, in addition to a Class 2 Certificate in Wastewater Collections. Each level of certification requires a specific exam, level of education, operating experience and DRC time. The successful candidate must hold and maintain a Class 5 Province of Manitoba driver’s license. This position requires operators to work at heights and in confined spaces. Applicants with a minimum 2 years post-secondary education or 90 CEU in a related field may be considered on an under-fill basis. Required Certifications to be obtained within specific time frame as per the guidelines outlined in the collective agreement. HOURS OF WORK: 7:30 am to 4:30 pm, 1 hour for lunch, Monday to Friday. Required to work one weekend per month and be on standby one week a month. (Shifts may be changed due to operational requirements). Employees on standby duties are required to carry a pager must be able to report to work within thirty minutes period. SALARY: The rate of pay for this position ranges from $24.62 to $33.55 per hour dependant on education, experience and qualifications. This posting will remain open until a suitable candidate is found. Please forward applications with the competition number 2018-12 to Human Resources Office, City of Portage la Prairie, 97 Saskatchewan Ave East, Portage la Prairie, MB, R1N 0L8, FAX (204) 239-1532. We thank all applicants for applying; however, only those being considered for an interview will be contacted. Under the direction of the Water Treatment Supervisor, the operator ensures the safe and effective monitoring and operations of processes and equipment for the water treatment division and acts as operator in charge as required. QUALIFICATIONS: The City of Portage la Prairie is a Class IV facility and a Class 4 Certificate in Water Treatment is required. Each level of certification requires a specific exam, level of education, operating experience and DRC time. The successful candidate must hold and maintain a Class 5 Province of Manitoba driver’s license. This position requires operators to work at heights and in confined spaces. For more information on the requirements needed to achieve a Province of MB Class 4 Certification please visit http://www.gov.mb.ca/conservation/eal/certification/info_cert. SALARY: The rate of pay for this position ranges from $24.62 to $33.55 per hour dependent on education, experience and qualifications. This posting will remain open until a suitable candidate is found. Please forward applications with the competition number 2018-13 to Human Resources Office, City of Portage la Prairie, 97 Saskatchewan Ave East, Portage la Prairie, MB, R1N 0L8, FAX (204) 239-1532. Career listings can be placed on the MWWA website at a cost of $50.00 +GST. You can place an order by selecting "Career Listing" below - or by going to the "Store" and selecting "Career Listing" there. Job Postings with no closing date will remain on the Career page for a maximum of 6 months. Please notify us when you have filled the position and wish to have your Job Posting removed from the website. If you have more than one job posting you will have to change the quantity on your order. Water and wastewater careers offer the possibility of long-term stable options for those who believe in the importance of, and want to make an impact on, the health and environment of their communities and country. These careers offer choice, challenge, balance and flexibility. 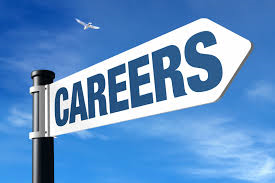 Interested in working in the Water Industry click here for more information on career choices.